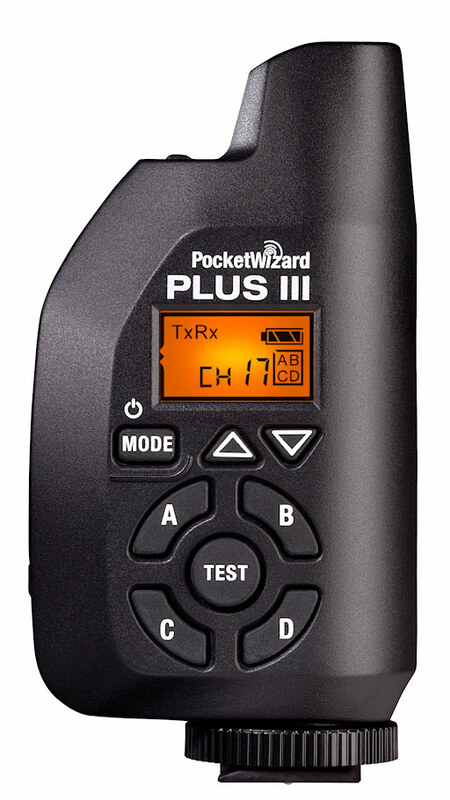 PocketWizard Plus III Transceiver for Rent at SYNC! 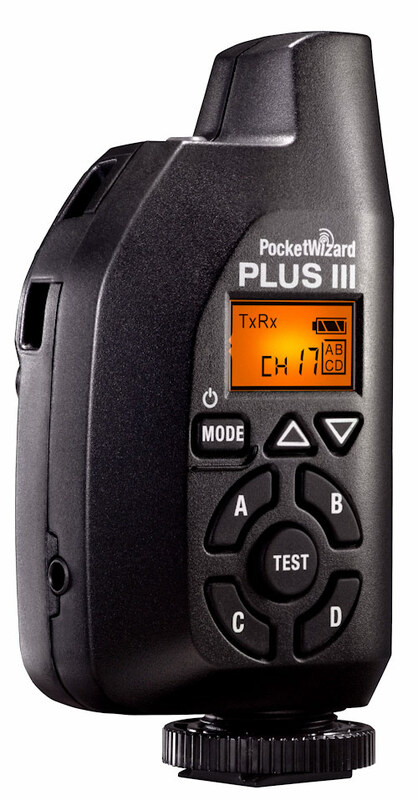 The PocketWizard Plus III Transceiver is the most reliable, feature-packed, easy-to-use solution for remote flash and camera triggering available. The Plus III Transceiver features an impressive 32 channels, selective Quad-Zone Triggering and is reverse-compatible with all PocketWizard radios. For more challenging environments or distances, there are two added features to improve range and reliability. Long Range Mode (LR) will roughly double the working range and is ideal for remote camera triggering. Repeater Mode (RP) allows the addition of one or more radios in between the transmitting and receiving radios to overcome distance, obstacles or other interference. RP mode works well for both remote camera triggering and remote flash triggering. 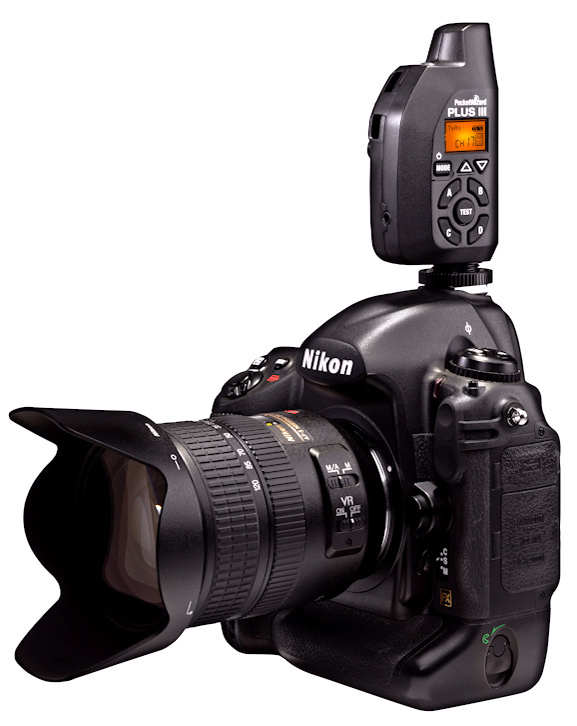 Remote camera users will love the new Two-Stage Trigger feature. The TEST button on the Plus III acts like a camera’s shutter release with “half-press”. Use this unique feature to wake, focus and meter a remote camera before triggering. Pressing TEST all the way triggers the remote camera. The Plus III can fire at sustained triggering rates of up to a blazing 14.5 frames per second. Two AA batteries can power the Plus III up to 50 hours and when needed for remote camera triggering, it can be powered with an external battery through the Mini-B USB 2.0 port. The USB port can also be used for firmware updates. Of course, the Plus III is reverse-compatible with all PocketWizard radios, making it the perfect addition to existing gear. It is especially well paired with the MultiMAX which has the same set of 32 channels and four zones. Whether you are new to remote triggering of cameras and flashes or a top professional pushing gear to the limits, the Plus III’s reliability, simplicity and performance make it the perfect tool for the job.